Conceived as an afterthought, savaged by the press, and hastily discarded by its maker, this six-cylinder version of the ubiquitous MGB has become the MG that time forgot. This week, we take a look at the story behind the rare and much-maligned 1968-1969 MGC. By the standards of the early sixties, the first MGB had perfectly adequate performance: 0-60 mph (0-97 km/h) took about 12 seconds while top speed was perhaps 105 mph (170 km/h). Even at launch, however, it was hard-pressed by rivals like the Triumph TR4 and the admittedly more expensive Alfa Romeo Giulietta Super Spyder. The MG’s 1,798 cc (110 cu. in.) B-series four was study and torquey but not exactly overpowered, producing 95 hp (71 kW) and 110 lb-ft (149 N-m) of torque in stock form. A liberal application of the factory’s many “Special Tuning” parts could yield some 130 hp (97 kW), but that was expensive and entailed some compromises in drivability and reliability. The natural solution was to install a bigger engine. Although MG Cars had concentrated on four-cylinder cars since 1945, the company had offered a variety of six-cylinder models before the war, beginning with the 1928 MG Super Six. Chief engineer Syd Enever had apparently considered a six-cylinder MGB during the early stages of the B’s development, but nothing had come of it. Cost was presumably a concern, but there was also concern that a bigger engine would spoil the MGB’s excellent weight distribution. Still, by 1963, adding a more powerful MGB seemed like a sensible marketing decision and the engineers in Abingdon began considering various possibilities, including a short-stroke version of the 2,660 cc (163 cu. in.) four from the old Austin A90 Atlantic and two versions of the corporate C-series six: BMC Australia’s 2,433 cc (149 cu. in.) “Blue Streak” engine and the 2,912 cc (178 cu. in.) six used in some big BMC sedans. MG’s corporate parent, the British Motor Corporation (BMC), soon took a keen interest in the idea of a six-cylinder B for reasons that had little to do with MG. Since 1952, BMC and the Warwick-based Donald Healey Motor Company had offered a variety of sports cars under the Austin-Healey nameplate. The small Austin-Healey Sprite had recently been refreshed, but the six-cylinder 3000, whose latest Mk 3 iteration was about to debut, was becoming long in the tooth and BMC was looking ahead to its replacement. 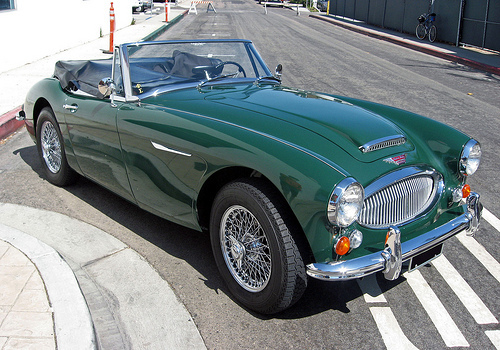 The first Austin-Healey was the four-cylinder 100, introduced in late 1952. The six-cylinder version was launched in 1957, with the 2.9-liter 3000 following in 1959. Its final iteration, the Mk 3, bowed in the spring of 1964, sporting a new dashboard and a more powerful engine. The “big Healeys” were faster and considerably more expensive than the MGB, competing in a different price class. Interestingly, they were built in the same factory; BMC transferred Healey production from Longbridge to Abingdon in 1957. Like his predecessor, Leonard Lord, BMC chairman George Harriman was reluctant to develop two cars where one would do. Since the fifties, BMC had become notorious for badge engineering: selling the same basic product with minor variations under several different names. Since 1961, MG had been selling a facelifted Austin-Healey Sprite with the venerable Midget nameplate and ideas had been floating around since the late fifties for a bigger car that could be sold both as an MG and an Austin-Healey. Around the same time, BMC had started working on a new joint project, coded ADO 51/ADO 52, that would serve as both the Austin-Healey 3000 Mk 4 (the ADO 51) and a six-cylinder version of the MGB (the ADO 52). This proposal was not warmly received in Warwick. The ADO 51 was obviously an MGB; cost considerations prohibited any real styling or structural changes, so the only real differences between the ADO 51 and 52 were the grilles and trim. Healey’s son Geoff, the firm’s chief development engineer, worked dutifully with Syd Enever on the project, but without much enthusiasm. The Healeys considered the ADO 51 a hopeless case: a bastardized MGB and a poor excuse for an Austin-Healey. As was typical at cash-strapped BMC, development of the ADO 51/52 dragged on for more than three years. MGB sales were still robust, bolstered by the addition of the MGB GT hatchback coupe in the fall of 1965, but the Healey situation was coming to a head. In September 1966, the U.S. enacted its first federal motor vehicle safety standards, scheduled to take effect January 1, 1968. Since the existing Healey 3000 Mk 3 could not meet those standards, it would have to be withdrawn from the U.S. market by the end of 1967. Even the imminent demise of the big Healey was not enough to persuade Donald Healey, whose interest in applying his name to to the ADO 51 remained precisely zero. BMC finally relented and the project was canceled. BMC’s C-series six, developed by Morris and introduced in 1954, was in some respects a B-series four with two extra cylinders. The first six-cylinder Healey, the 100-6, had a 2,639 cc (161 cu. in.) version of this engine, which was bored out to 2,912 cc (178 cu. in.) in 1959. British versions of the big six originally had four main bearings, but the lightened unit in the MGC and Austin 3-litre had a seven-bearing crank, similar to the one in BMC Australia’s 2,433 cc (145 cu. in.) “Blue Streak” engine. Although the Healey-badged ADO 51 was dead, the ADO 52 received production approval in the fall of 1966. It was slated for introduction the following year as a 1968 model, dubbed MGC. Glad to have you back! Just when I think you might be starting to run out of topics you bust out with an entire marque I had forgotten about. What where the common pitfalls of the MGC engine that gave the car a poor rating? The general complaints included (a) that the engine was simply too heavy and throws off the car’s balance (the engine is about 200 pounds heavier than the MGB’s normal B-series four); (b) that the engine was reluctant to rev; and (c) that the six didn’t feel as powerful as its rated output suggested. There isn’t much to be done about the first point, but owners have tried various things to mitigate the latter two points, including installing a lighter flywheel and tinkering with carburetion and manifolding. I have one, and it drives like mad, but than I have the overdrive! The engine is so reliable and strong that you can pull up from stand still in fourth gear without any problems. 1. a really heavy machine with gear, making turning corners into heavy duty weight lifting. 2. When your driving over 100 mph (and you can easily make this speed) you tends to loose grip on the steering. I believe the mounting block is factory, but I think the braided hoses are not — photos I’ve seen of stock engines have rubber hoses. Excellent article on the MGC. The spin on oil filter and braided hoses are aftermarket item. Originally the MGC was equipped with a cloth filter inside a canister. A small drain plug was provided in the canister base to help prevent oil from running down the side of the block to the floor. No matter what, changing a filter was a messy affair. The original equipment oil cooler lines are rubber as are the fuel lines and radiator overflow hose. The carburetor cooling fan and emissions system items have been removed from this engine, a common thing to do, cleaning up the appearance of the stock engine. Thanks for the clarifications. It looked like the air pump had been removed, but I wasn’t clear enough on the stock items to be certain, and I didn’t think to ask the owner. I’m not sure whether others see what I do on my Blackberry’s Bolt browser, but the truncation to "braided ho" is as unfortunate an accidental meaning change as I’ve seen! Alas, that is a side effect of the comment system’s formatting, which defines itself in fixed pixel widths. If the text of the article itself is truncated, let me know, and I’ll see if I can figure out why, but there is unfortunately not much I can do on the comments. Another outstanding, well researched article…you guys are the best. As regards the handling, if I recall correctly there was an issue with the press cars having the wrong front tyre pressures, making the steering enormously heavy at parking speeds and sluggish to turn-in. That’s mentioned in the text. The press cars had the tires inflated to 24 psi all around, rather than having somewhat higher pressures in front (Bruce Ibbotson suggests 36/32 psi front/rear). That probably exaggerated the MGC’s unflattering characteristics, but it didn’t cause them. It’s worth noting again the [i]reasons[/i] for the MGC’s handling characteristics. First, in addition to putting an extra 100 kilos on the nose, the big engine raised the center of gravity. To compensate for the greater body roll that induced, the C got a thicker front anti-roll bar. That in turn increased the load on the outside front tire, inducing understeer. The standard tires were none too generous in size or grip (initial specification were Dunlop SP41, 165R-15, replaced in 1969 with 165HR-15 speed-rated tires), so the front end would wash out earlier than in the B. Tire pressure affects grip, so running a higher pressure in front would reduce understeer by giving the front tires more grip than the rears. (That could also be accomplished by adding a rear anti-roll bar and using fatter tires with more grip; some owners have done either or both.) Conversely, lower front tire pressures would reduce front-end grip, exaggerating the understeer. As for the steering, the C’s (numerical) steering ratio was something like 15% higher than the B, making the steering slower (more turns lock-to-lock), but still fairly heavy, with softer turn-in response. (As a point of comparison, the lightened 2.9-liter engine weighed more than a 5.4-liter Chevrolet V8, and the MGC’s steering ratio was similar to the fast-ratio manual steering offered on some American pony cars — those were real bicep-builders in parking maneuvers.) Lowering the front tire pressures would make that worse, and hurt turn-in response, but higher pressures don’t change the steering ratio or remove the big mass of iron on the front wheels. Do manufacturers still use tyre pressure to correct handling flaws? I know most cars I’ve owned have required higher rear pressures, but not to the extent of a 4psi difference. The issues with the MGC’s front and rear pressures reminded me of the recommended settings for the Chevrolet Corvair, although if I remember your excellent article on that car, it was again a bit of a sticking plaster on a broken leg to try and use tyre pressure to fix inherent handling flaws. One thing which did cross my mind was that although the C-series was undoubtedly a boat anchor of an engine in any form, particularly compared to the Rover V8, the Austin-Healey 3000 seems to have suffered less than the MGC. Presumably that was a function of being designed around the big six, rather than having it shoehorned in? The engine in the Austin-Healey 3000 was even heavier than the MGC’s version, but it sat further back in the chassis, so its weight distribution was much better. I’m sure MG would have preferred to do that with the MGC, as well, but they didn’t have the budget for it. In a monocoque car like the B and C, the cowl (scuttle) is an important structural element, so altering it requires rather major surgery. Tire pressure is still used as an inexpensive way to adjust ride and handling balance, but since customers (and even dealers) don’t necessarily follow the recommended pressures, it’s not an ideal solution. I don’t know offhand of any modern cars that specify dramatically different front/rear pressures, except perhaps cars that use different-size tires front and back. I haven’t made any study of that particular point, though, so I’m not sure. I’d think the MGC and the Mustang/Camaro would appeal to different buyers, even if they were in the same ballpark in price. For the most part, I would imagine that MG fans and pony car lovers would turn up their noses at one another, but the MGC does make an interesting comparison with the contemporary American sporty cars. Although the magazines (and modern collectors) love the hotter big blocks, Boss 302s, and Z/28s, that’s not what most people bought, and a comparison between the C and a workaday Mustang or Camaro would be instructive. By the numbers, straight-line performance is actually pretty similar (and would be more so if the MGC hadn’t lost the big Healey’s low-end torque), and I suspect the C would handle better, unless the pony car had the heavy-duty suspension (which was generally pretty rare). The MGC left the building just as the Datsun 240Z was entering it, but you’d need to REALLY have a thing for British cars to choose an MGC-GT over a Z.
I’m pretty sure BMC was unaware of the Z when the MGC was launched, although the Z was definitely on the radar when MG introduced the B GT V8 in 1973; the ads for it make that clear. Alas, the very limited production of the V8 (and BLMC’s decision not to federalize it) made it something of a moot point. I’ve scoured the site, glad to have fresh material! Ive owned fully restored standard bgt & cgt. Handling wise theres very little in it. You have to be an experienced classic driver to get the best from the cgt and if you are, then the c is faster all round and better fun. The bgt has nimbler handling and is more forgiving, but lacks the power in the corners to use its potential. The front end set up on the c is what the b should have had in the first place and then it would have been exceptional, especially when tuned. The b needed a better engine but never really got it until the v8 and then the B s front end suspension was inadequate, again losing everything you gained. There all great in there own right, for me the c edges it on rareity smoothness and everyone wants to talk about it. Good article and good to see a well written description of the MGC. Having had 2 MGC GTs, 2 Big Healeys (and a 240Z) I think I can add quite a bit to this: The problems with the MGC were mostly BMC problems. Mainly money and control. 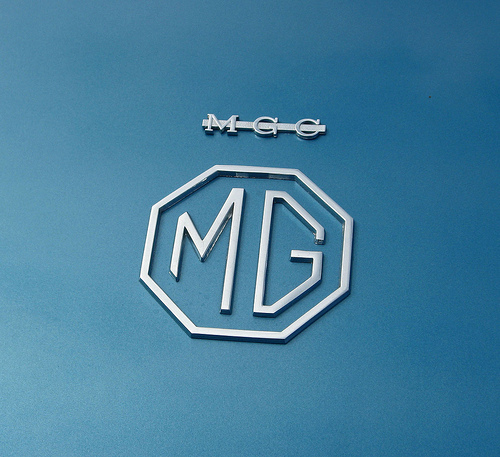 MG was not given control over the engine and had a minimal development budget. Morris Engines Branch delivered an engine that was at least 100 lbs heavier than the MG engineers were told it was going to be. They just turned up the torsion bars to level the car, but as they were from another BMC model the spring rate was terribly inadequate for the job with no budget or time to develop the right parts. Add to this the fact that the front suspension has all rubber bushings instead of half metal like the MGB or Healeys, the car rolls in turns and the suspension distorts far from ideal alignment for cornering grip. This results in the C turning into a corner and then the wheel needing to be turned some more to stay on a chosen line. Benign understeer to the max. Off the line the MGB can get to 35 or 40 mph faster, but on the open highway the MGC will pass it and be gone. Cruising at 70, 80 or more is easy in a C. Much taller gearing and more relaxed at modern Interstate speeds. A lighter flywheel (the MGCs is 32 lbs, the Healeys was 28) will help and the 1969 gearing is not as tall as the 1968. Suspension improvements that will make the C equal to a B include Up-rated torsion bars, polyurethane front suspension bushings, better shocks, better tires (at least 185/70HR15) with proper inflation, and stiffer front and added rear anti-roll bars. With these the MGC can be made to be a very good car. (My local Club doesn’t like me to lead tours in my GT!) It is the most modern MG we have in the States, the front suspension is fully adjustable and it is great for long trips. Yes it will not perform like a Z-car, but the MGC was already discontinued by the time the Z came along. The photo of the MGC fitted with 3 by 1/34″ SU’s is an aftermarket kit with cast alloy horizontal inlet manifolds. The correct Downton inlet manifolds are specially jigged fabricated mild steel units which curve down slightly from the carby then curve up to the inlet ports. The carbies are inclined inward at about 10* or so. I haven’t measured the angle. It is the specific design of the inlet manifolds that give the much improved gas flow into the head resulting in very good low down torque and much improved economy as well as a substantial power and torque increase from idle up to 6,000 RPM. There are very few Downton Stage 3 [Kit 45] cars worldwide. I only know of 3 in the UK and my car in Australia. There may be some in Europe and North America. University Motors did sell a few Stage 2 [Kit 43] cars towards the end but as far as I know no Stage 3 cars. Most of the Stage 3 cars were modified by their owners or were taken to Downton Engineering to be converted early in the models life. The copies of the Downton dual exhaust system ,headers, mufflers and pipes are readily available and follow the design of Downton fairly accurately. Moss I think sell a copy. The dual exhaust system gives about 20 BHP of the Kit 45 performance, as advised by Downton in 1970. The MGC was quoted in the UK as exceeding 130 MPH when fitted with stage 2. My car with stage 3 has been timed at 128 MPH on a circuit with a very long straight. It never got anywhere near the claimed UK figures. The standard car as delivered with 3.307:1 diff reached 120 MPH in both 4th. and Overdrive. Years ago in the UK 2 MGC’s over 10 years old were tested from 30 to 100 MPH in 4th. gear on a level test road. The early car with 3.307:1 diff. took 40 seconds. The later  car with 3.7:1 diff. took 30 seconds. The early cars were overgeared as we all knew. On the MGCC Queensland website “Tech Talk” pages is an article on Airconditioning the MGC. With our Sub Tropical climate this has been great all year round, fitted in 2006. I’ll bow to your familiarity with the Downton conversions — the owner identified it as a Downton conversion, but he admitted he wasn’t that familiar with the details. I’ve amended the text accordingly. Another excellent article. In the last few years the C’s value have really started to come up. The average age of the average British car enthusiast climbs I suspect they are more drawn to the C’s GT style assets of the more raw B sports car. I suspect an equally important factor, as far as collector value goes, is simply rarity. Except for the MGB GT V8, there aren’t many Bs that qualify as rare, and those that are don’t necessarily have greater collector value (the early 1974 North American cars with the chrome bumpers and big rubber overriders, for instance). The C also has value just as a conversation piece. Even at a show full of jaded MGB fans, it stands out, and I’m sure some people find that appealing. I’ve spent a fair amount of time behind the wheel of both MGBs and MGCs, and at the end of the day I think there’s no question that the B is the better all-around car. By going with the B, you essentially sacrifice higher-speed touring ability and sweet six-cylinder sound for the benefit of a significantly better-handling and probably faster all-around package. That said, I think folks need to be honest with themselves about how they’re planning on using these cars. If you’re a Sunday driver that scarcely exceeds the speed limit–not uncommon when it comes to MG owners–the added smoothness and rarity of the C might outweigh the B’s balance and at-the-limit performance potential. Fortunately, though, they’re both cheap enough that if you’re a nut, you can get one of each. I think it also depends on what you’re comparing them to. If you compare the MGC’s handling to the Mark II MGB, the C comes out badly. If you compare it to a contemporary Mustang or Camaro (not unreasonable, since their prices were roughly comparable), it would probably fare better. I have letters from Daniel Richmond of Downton giving all the details of the factory engine [on Abingdon’s Dyno] and his data for Kit 43 [stage 2] and Kit 45 [stage 3] engines. Factory engine produced 123.7 BHP at the flywheel with open dyno exhaust. Kit 45 produced 174.6 BHP at the flwwheel with the Downton twin exhaust system. This is what made the difference. Go to the MGCCQueensland website [Website in contact block] and scroll down to "Tech Talk". Look for an article on developing the MGC for Modern day use [or whatever I called it] here you will get "Chapter and Verse" development of the car from delivery up to about 2009. I have since added John Hoyle’s IRS to replace the cart springs. I have to go out now but will send you a lot more info later. I did read your document at length in putting together the article — if you look through the sources (some daunting blocks of text, I admit), you’ll see it there. It was very useful, although inevitably some of its details went a little beyond the scope. (I rounded 174.6 bhp up to 175, as is my customary practice.) Most of all, it illustrated how much better the factory MGC could have been, with just a little more effort. As a British owner of an MGC roadster, I would concur with most of the comments made on your forum. The handling can be improved by fitting 185 x 15 tyres and replacing the stock shocks with modern adjustable ones (I have fitted Spax ) this certainly will improve the situation and understeer can all but eliminated if the rear side lever shocks are replaced with teles. I’ve owned and driven an MGCGT for 26 years and as standard, as you say in your comments, the handling is not great. However with some gas shockers and a thicker roll bar, take off the carb air filters,and add some ram tubes you’ll gain up to 10hp and some grunt. I’ve done the Monte Carlo Ralle Historique twice in the ‘C.’ The power on the mountains was a joy in mainly third gear useing the overdrive as a gear change it creamed most of the other muscle cars on the rally. Every hairpin on the coles were powered around just drifting the rear, no problem with a standard steering wheel and rack. I am an original owner of an MGC roadster with 4 speed transmission and overdrive. I purchased it new June 21, 1969 and have loved and enjoyed it since new. Presently. I am restoring it for the first time in 46 years. My restoration is a complete nut, bolt, screw, and rivet task. I hope to have it completed by June 2016 for the MG International meet in Louisville, KY. I have spent 4 years working on it, but not seriously until this year. Hope to see some of you in Louisville next June. An intriguing question comes to mind regarding the MGC, was the FB60 engine intended for the Austin-Healey 4000 ever fitted to an MGB / MGC? Not to my knowledge, although I imagine it would be a tough squeeze. I don’t think I’ve ever seen exterior dimensions for the FB60, but even the redesigned C-series barely fit in the MGB’s engine bay without modifying the firewall, so the F-head engine might just not fit. (The Austin-Healey 4000 used a modified 3000 body, which had more space up front. While Donald Healey rejected ADO51 on the basis of both its heavy engine and too closely resembling the MGB/MGC, do any counter proposals by Healey exist as to how he wanted ADO51 to progress and differ from the MGC in terms of styling before outright rejecting it? Would ADO51 have been better off with something along the lines of the front-end from the Coune MGB Berlinette with the “Healey” grille from the ADO51 prototype as a starting point? 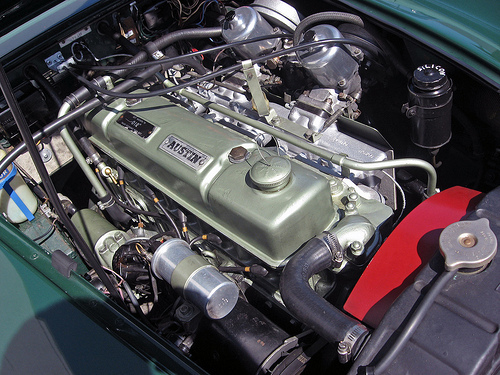 On the engine front while the 142-178 hp 2.5 version of the 2660cc 4-cylinder is one route (along a 200 + hp 2.5 Coventry Climax CFA V8), would Healey have quickly dismissed the redesigned 2.9 C-Series engine had it reached its original weight reduction target of 175 lbs / 80kg (instead of 45 lbs / 20kg) that the later motorsport MGC GTS achieved together with the 175 hp Downton upgrade? Anyway as for the 2.4 B-Series Blue Streak engine it apparently uprated to put out as much as 115 hp in MGB prototypes. In the Big Healey article, I talked about some of the alternative ideas that were considered, at least one of which was a fixed-head coupe (not related to or particularly resembling the Coune Berlinette, however). I think the Healeys’ basic concern was not the the styling or the weight of the engine (although their conclusion that the ADO51/52 was a dynamic mess certainly didn’t help), but rather that the ADO51 would have been a difficult sell in any form BMC was willing to consider. The 3000 and Hundred had always been a clear step up from the MGA and MGB in terms of price and performance; in the U.S., the difference between an MGB tourer and a mid-sixties BJ7 was close to $900, which was a lot of money. The ADO51 would probably have been priced similarly, but because it would have looked so much like the MGB, there was a real danger that a potential buyer would assume the ADO51 was a rebadged MGB rather than a 3000 successor. It’s not difficult to imagine a customer walking into a showroom, balking at the $3,500+ price tag, and walking out again without ever raising the bonnet or asking about the specs. I suspect the Healeys would have had less of a problem with the similarity between the ADO51 and ADO52 had BMC been willing to further differentiate both cars from the MGB. Similarly, had it been possible to continue the BJ7 for a few more years, I doubt the Healeys would have objected overmuch to substituting the redesigned C-series engine (although once BMC asked them to look at the Rolls-Royce FB60, they might have argued for using that instead, since it provided much better performance). The Healeys were realists and they’d worked with BMC for a decade or so at that point, so it’s not like they didn’t understand the economic considerations involved. I think they simply concluded that there was no way to make ADO51 a viable commercial proposition within the parameters BMC had set for it, and they were likely correct. Past owner of an MG TC or 25 years, which I sold as I could not decide which of my three sons should have the car. I have purchased a 1974 MGB GT which I am happy with but I have decided to sell and purchase a MGCGT with a Doug Smith conversion stage 2 with three weber carbs light flywheel and downton exhaust. I can’t advise you on how to modify your car, although there are various resources available if you were so inclined. I don’t think there’s anything dangerous or treacherous about the MGC’s handling. The complaints about it tended to be that it was comparatively stodgy and understeer-prone, but that’s a question of degree and some would tell you understeer is safer. Of course, any old car requires a certain adjustment for a modern driver accustomed to the higher limits of modern suspensions and tires, but in that regard, the MGC is no worse than any American sedan of its era. If you’re planning to autocross or something, that might be a different story, but for Sunday drives, I don’t know that you need to tinker with it. Heavy steering has always been a stock criticism of the “C” . As a 2 time owner, my present C has been fitted with kingpin needle roller bearings. These replace the bronze bushes fitted originally to the top of the trunnions and take the weight of the front of the car. The result has been a huge success and other than at very low speeds, a marked improvement is evident and well worth the time and effort. Hi Michael, I’m glad to hear your assessment of the roller bearings. I’m in the process of restoring my C GT (a long ways to go) but purchased a set. When I get to that stage I’ll get it on the road as stock and convert to the roller bearings to have the comparison to know that was a good choice! When I was in Vietnam in 1969 I ordered a MGC convertible . When I got home and the car they had for me was an auto! So I did not buy it. Fast forward 20 years and I found a restored one and bought it. A lovely car, the torque and smoothness of the motor was beautiful! A teriffic car. I since sold it, but looking around again. For a casual driver, long trips on country roads there is none better! Interesting article and discussion. I own an MGB with the Blue Streak B series six engine, an Australian prototype replica, complete with the triple carbs and headers made for it. A very quick car and the engine being lighter than the C does not seem to affect the handling too much, tho front end has modified shocks. That Blue streak fitted in the car without all the front end redesign, pity it was not used as the engine was regarded as not standard enough for worldwide release. Only other change for mine was the fitting of a Nissan Skyline 5 speed gearbox. This is a very satisfying car to drive and no one can pick the engine from its great noise. British Leyland built a bit less than 3000 MGB-GT models with the Buick/Rover V8 engine between 1973-76. A British entrepenuer named Ken Costello first started fitting this engine in MGB bodies, he may well have done the same with a few MGC’s.